This is another case where the story of how the film got made is better than the film itself. Even though we now praise Akira Kurosawa as the greatest Japanese filmmaker of all time, and one of the most inspirational filmmakers ever, that was not the case when he was making films in the 1960s and 70s. For the most part, Kurosawa’s films were hated in Japan because they were “too western,” which was really made worse when his previous film, “Dodes’ka-den,” was a flop with both critics and audiences. After it failed, no Japanese film studio wanted to work with Kurosawa, basically blacklisting an amazing filmmaker. At this point, Kurosawa entered a very dark and terrible portion of his career, even attempting suicide at one point because he couldn’t make his movies. But eventually, Kurosawa was approached by Mosfilm, a Russian film studio, to do an adaptation of the famous 1923 memoirs of a Russian explorer, Vladimir Arsenyev, as he charted the Sikhote-Alin region in far east Russia and the native trapper he met and befriended along the way, named Dersu Uzala. Kurosawa happily took the job, saying that he had wanted to adapt the memoirs since his career started in the 1930s, but felt it could only work if he could film it in Russia. The only way Kurosawa could continue to make movies at this point was to work out of a different country entirely and make a film in a language he didn’t speak. To me, that speaks volumes of how much Kurosawa loved making movies and his dedication and passion for his craft. The result is “Dersu Uzala,” which adores the vast emptiness and wilderness of the Russian landscape as “Doctor Zhivago” did. Every shot in this film is breathtakingly beautiful, especially when the sun is setting over the cold frozen tundras, showing us how stunning this part of the world can be but also how deadly and unforgiving, which is why these explorers keep coming back. Other than that, the story is fairly generic as an ongoing tale of survival and exploring the wilderness, though it is not helped by the rather slow pacing at points later on the film as Dersu starts to lose his touch. Supposedly, the role of Dersu was originally offered to Toshiro Mifune, which I think would have made Dersu’s strength and resolve far more fascinating. Instead, we get a quiet and subdued Maxim Munzuk, who isn’t bad but leaves no impression on me either. 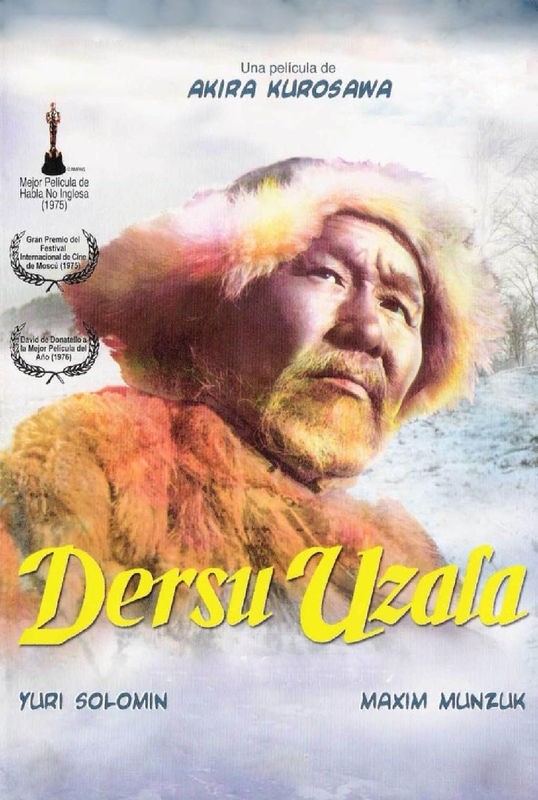 Overall, “Dersu Uzala” is worth watching to see Kurosawa recreate his style and visual storytelling in a vastly different environment and language, but the story itself is rather unimpressive. It is visually rich and surprisingly vibrant, but that’s to be expected from Kurosawa. If you’re curious to see the type of film Kurosawa made in the darker point of his career and what a Russian-Japanese co-production looks like, “Dersu Uzala” is worth checking out.